For some families, there is nowhere better to escape the bitterness of a British winter than Barbados. Of all the Caribbean islands, it has the most established social scene and the property market is developed enough to offer buyers a wide range of choices. Although the east coast has a rugged, wild charm, it’s the west or ‘platinum coast’ that is the honeypot for second-home buyers. What’s on the market this winter? The west coast, with its palm-fringed pristine beaches, is most people’s idea of a Caribbean idyll. It’s where all the action takes place (such as the Barbados Food & Wine and Rum Festival, which has just finished; www.foodwinerum.com), so it’s no surprise that there has been a glut of apartment building along this lovely stretch of shoreline. However, since the downturn in 2008, prices have fallen between 15% and 20%, according to James Burdess of Savills’ Caribbean department and ‘$3 million [£1.87m] resale apartments are now $2.25 million [£1.4m]’, he says. Savills are selling Mantaray Bay, a four-bedroom apartment, reduced from $3.5 million (£2.18m) to $2.5 million (£1.56m), in popular St James’s parish (020-7016 3740; www.savills.co.uk). Whether you want a place to just put your feet up or a base for fun in the sun, a lock-up-and-leave coastal apartment combines convenience and the beach in a manageable, troublefree package. A home within a gated community is ideal for short stays of two or three weeks at a time, as ‘everything is taken care of’, explains Christian de Meillac, of Knight Frank’s Caribbean office. And as many apartments are generally spacious and laid out on a single level, they’re also popular with older buyers and retirees. Two new developments have just been launched by the same team behind the successful residential marina Port St Charles and are also located on the northern end of the prestigious west coast. 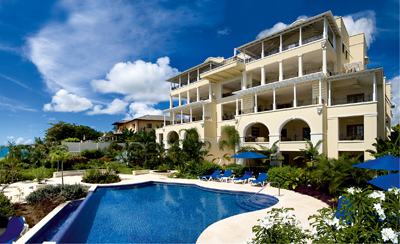 Saint Peter’s Bay (0800 097 0847; www.stpetersbaybarbados.com) is a collection of 57 three- and four-bedroom coastal apartments, set in four acres of beachfront and tropical gardens. The spacious, high-ceilinged homes range from 2,700sq ft to 6,400 sq ft and prices start from $1.95 million (£1.22m). At neighbouring Port Ferdinand (0800 097 0847; www.portferdinand.com), a gated community with a marina, just north of up-and-coming Speightstown, each home comes with its own 50-60ft yacht berth. The 86 properties overlook a horseshoe-shaped marina with 120 berths-and the occasional visiting turtle. Phase one finishes next month (December 2013) and prices range from $2.25 million (£1.4m) to $7 million (£4.36m). A verdant championship golf course, a hilltop breeze and a competitive price tempted Caroline Templer, a magistrate from Guildford, Surrey, and her husband, Bill, a financial consultant, to buy in a similar gated community, but set back above the west coast. 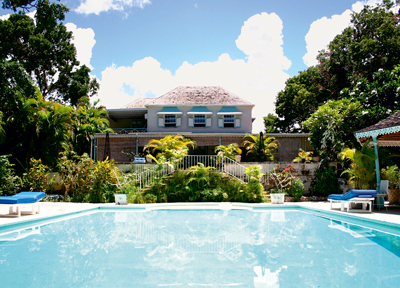 The couple, both 50 and keen golfers, chose a four-bedroom town villa (2,500sq ft) off-plan in 2009, in Sugar Ridge, a development of 22 homes within Royal Westmoreland (01524 782649; www.royalwestmoreland.com), a managed residential estate of rolling fairways, sea views and elegant colonial-style homes, a mile from the coast. Similar villas bought off-plan now start from $1.25 million (£778,000) and would fetch almost $6 million (£3.73m) on prime areas of the West Coast. At Apes Hill Club (00 1 246 432 4500; www.apeshillclub.com), a similar residential estate in the centre of the island with a golf course and polo club, a slightly larger (3,267sq ft) fairway villa starts from $1.6 million (£995,000). More than twice the size and with four bedrooms (6,876sq ft), Ard Na Mara on Moonshine Ridge, also within Apes Hill-which comes with its own pool-is on the market for $6.5 million (£4.04m) (00 1 246 432 4500; www.apeshillclub.com). Royal Westmoreland compensates for the lack of a polo field with a complimentary shuttle service to the beach at Mullins Bay. The estate also has splendid communal pools and very popular tennis courts. (Tennis fans will be delighted to know that Andy Murray is still booked to play in Barbados’s Dream Cup, assuming he recovers from his recent back injury.) Mrs Templer, who likes the resort’s ‘country-club feel’, chose Royal Westmoreland for ‘the security aspect as we’re not there much of the time’. Such peace of mind comes at a cost, as gated communities incur a raft of fees. Charges include property management (housekeeping, pool cleaning, garden and land tax as well as electricity, phone and broadband bills) and club membership. Mrs Templer estimates their running costs to be about £1,800 per month. A larger, four-bedroom villa with a pool and club membership would cost approximately £5,890 per month. Mrs Templer offsets these management expenses by letting the villa for about eight weeks a year through West Coast Villas (020-7993 6508; www.westcoastvillas.co.uk). She says she achieves £3,500 per week in high season (Christmas and Easter), but hopes to increase this to £4,500 per week once the final 12 homes are finished (estimated to be by the end of 2015). ‘We hope that the villa will soon completely pay for itself on an annual basis,’ she adds. After some 40 years in residence, the Kidd family has decided its tenancy of 17th-century Holders House has come to an end. The old plantation mansion, which is set in five acres just inland from Sandy Lane, has played host to the Holders arts festival since its launch in 1993. Next year’s season, which runs from March 22 to April 5, could very well be the last unless the new owner agrees to take on the mantle of organising the festival, which once had the great tenor Luciano Pavarotti as its headline act. The five double bedrooms all have air-conditioning and their own bathrooms with the master boasting a balcony with commanding views over the west coast and Caribbean. Additionally, there are two one-bedroom guest cottages. ‘Although the property overlooks and abuts a polo field, it doesn’t carry the overheads or development fees of a resort community,’ explains Richard Young of West Coast Villas, which is marketing the villa (price on application from 00 1 246 432 5050; www.  westcoastvillas.co.uk). Detached, standalone homes, whether historic or modern, cost between 15% and 25% less to run than a home in a gated community and a four bedroom villa with a pool, inland, would be roughly £4,400 per month. ‘You have fewer maintenance costs, but you also have less security,’ comments Mr de Meillac. Knight Frank are selling Mangrove Plantation, a fully restored 18th century, seven-bedroom mansion for $7.8 million (£4.852m). It’s set in 29.6 acres and is just 10 minutes inland from the west coast (020-7861 1097; www.knightfrank.com).